Evolution II, an investment fund owned by Inspired Evolution, will invest 100 million South African rand ($7.47 million) Solar Afriva through Commercial Energy SA. The money will be used to finance off grid on rooftops in Africa. The off-grid solar energy sector in Africa will raise some new money. Exactly 100 million South African rand, or $7.47 million, was invested by Evolution II, an investment fund owned by Inspired Evolution, an energy consulting firm specialising in Africa. This money will be invested through Commercial Energy SA, an investment platform, to acquire a stake in SolarAfrica. The company will thus be able to accelerate the development of the solar off grid on rooftops in Africa, which this investment must finance. The facilities will produce energy for businesses, industries and households. According to a corroborating source, SolarAfrica has chosen to start its activities in South Africa. Off grid is developing in this country, with already well-known players such as Bboxx offering mini-grids for households in the townships. She is also leading this project in Lesotho with her partner DC Go. SolarAfrica should also use pay-as-you-go, a payment solution that is very popular in Africa and easily adapted to off-grid consumers. SolarAfrica carries out its operations via Unifii, an automated platform dedicated to online payment. Its partner, Inspired Evolution, has already established itself comfortably in the solar energy market in Africa. Until recently, it partnered with d.light, which markets portable solar products and off-grid solar home systems in southern Africa. In January 2019, it subsidised the inverter supply project of SMA Solar Technology, a German company based in Hesse. They are distributed by Davis & Shirtliff, a Kenyan company specialising in the supply of water and energy equipment. It will provide this equipment to private producers throughout East Africa. 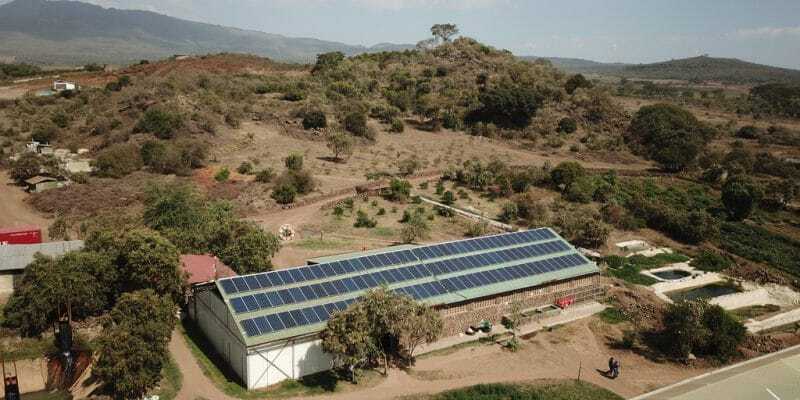 Davis & Shirtliff and SMA Solar Technology have chosen Kenya as their location. Inspired Evolution is involved in the project with Investors Group, part of the Canadian Power Corporation; Norfund, a Norwegian private equity firm, the Netherlands Development Finance Corporation (FMO), and Swedbank, a bank based in Stockholm, Sweden. Inspired Evolution attracts several investors to its Evolution II fund. Examples include FMO, the Global Energy Efficiency and Renewable Energy Fund, the Swiss Emerging Markets Investment Fund managed by Obviam, Quantum Power, the African Development Bank (AfDB), Swedfund and the Finnish Fund for Industrial Cooperation.